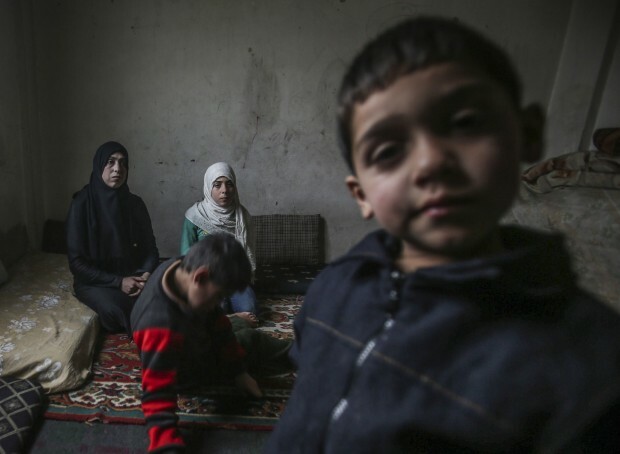 AMMAN, Jordan (CNS) — As peace talks get underway in Geneva trying to end the 5-year-old war in Syria, the U.N. children’s agency warned that more than 80 percent of Syria’s children have been harmed by the destructive conflict. “No place today is safe for Syria’s children,” Peter Salama, UNICEF’s Mideast director, told reporters in the Jordanian capital at the launch of the organization’s latest report on the Syrian crisis. “A new and disturbing pattern of violations against children’s rights has emerged in the conflict,” Salama said, as youngsters have been killed and maimed, boys under age 15 have been forced into active combat, while still others have been exposed to siege and starvation. “It’s a struggle, but what can I do,” she said. Despite her handicap, Saja hopes to train as a gymnastics coach and plays soccer using crutches. CRS, the U.S. bishops’ international relief and development agency and a member of the international Caritas aid federation, has made education a priority for Syrian refugee children who have fled the conflict. Hind Kabawat, a Syrian Christian lawyer who attended the Geneva talks, told CNS that it’s up to Syrian people to decide whether to keep Syrian President Bashar Assad. Assad’s fate, presidential elections and the type of new government are among the talks’ main obstacles. The Syrian regime says Assad’s future is not on the table. “The Syrian people have the right to decide if they want to keep Bashar Assad or not. When we have somebody who has committed all of these crimes in Syria, I don’t think he is qualified to be a president,” said Kabawat, formerly with the U.S. Institute of Peace.